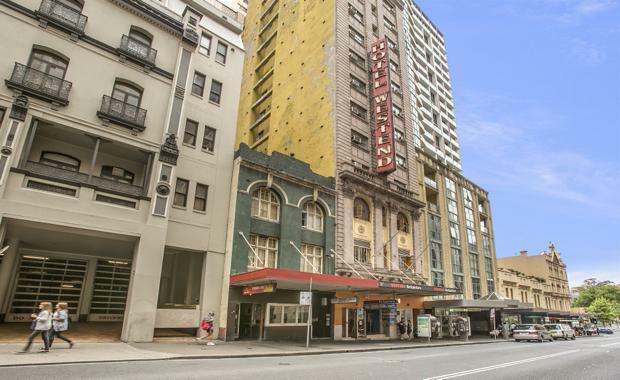 A Melbourne group have bought the Westend Backpackers' hotel in Sydney's CBD for $19 million with plans to refurbish it into a hotel, according to the Australian Financial Review. There were 300 enquiries into the building located at 412 Pitt Street. Speaking to the Australian Financial Review, CBRE Hotels' Andrew Jackson and Rob Cross negotiated the sale, saying that interest in the property was phenomenal. "We received a staggering 300-plus inquiries and took over 45 groups through the hotel over the course of the campaign, resulting in 13 offers to purchase being received," Mr Jackson said. [urbanRelatedPost][/urbanRelatedPost]Run under the Nomads brand, the hotel has 86 rooms over 13 levels with 359 beds in total. According to CBRE, the buyer intends to turn the hotel into a "limited service hotel offering to take advantage of the strong Sydney hotel market fundamentals. ""Strong demand levels in Sydney have produced consistently high occupancies and escalating hotel average daily rates. With minimal new supply mooted in the short term, occupancies are likely to remain high with positive ADR growth," Mr Cross said. "The strong trading outlook is drawing huge interest from both domestic and offshore buyers, with Asian buyers having been particularly active in the first quarter of this year. This is driving the strong pricing being achieved for hotel assets in strong centres such as Sydney."